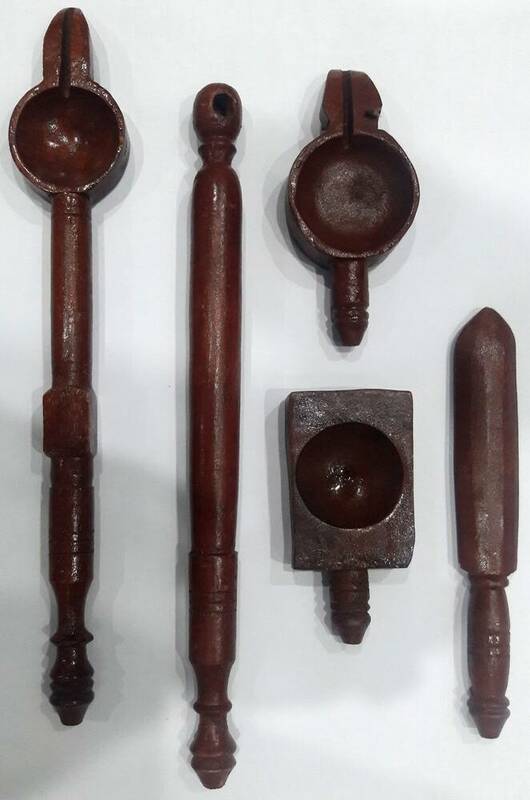 This traditional Vedic Fire Sacrifice Kit has 5 wooden implements identical to the ones used in India by the brahman priests for performing fire yajnas since Vedic times five thousand years ago and before that. Fire sacrifice Kit includes Wooden Spoons and other items needed for Ahuti, fire yajna. Each wooden instrument has its own particular use described in the product description below. 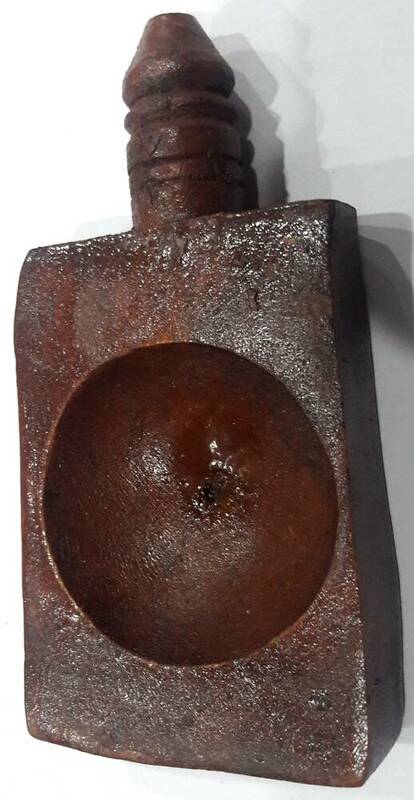 Ahuti Spoon - Short: This short wooden spoon is used for continuous ahuti where Mantras are chanted and you need to put ghee drop by drop without delay, it used for short distance. Ahuti Spoon - Long: This long wooden spoon is used for the same purporse as the short ahuti spoon but it is used for longer distances. It allows you to put drops of ghee into the center of a large fire yajna without getting burnt. Svaha Spoon - Long: This Spoon holds a limited quantity of Liquid like ghee and whole ghee is used for each Ahuti for every Svaha, used for Long distance. Wooden cutter: This is used to cut items before putting them in Fire Yajna. It is not sharp. Svaha Spoon Pot: During the process of Ahuti, the Svaha spoon throws ghee into the fire yajna and while returning back it is rested in this wooden pot just to leave a drop of ghee.